CCHSA is home to the CFI-funded National Agricultural Industrial Hygiene Laboratory (NAIHL). The combination of these facilities in one location is an innovative and comprehensive concept for agricultural and rural health and safety that will lead to new ways to address and solve the health and safety problem of agricultural and rural peoples. The Rural Dementia Action Research website was initially created to support the research initiatives of members of a New Emerging Team grant (2003-2009) funded by the Canadian Institutes of Health Research (CIHR). Funding through an Applied Chair in Health Services and Policy Research (2009-2015) from CIHR and the Saskatchewan Health Research Foundation (SHRF) allowed the research team at the University of Saskatchewan to build on the momentum gained during the previous years. Current funding from both the Canadian Consortium on Neurodegeneration in Aging [CCNA] (2014-2019) and SHRF, and a CIHR Foundation Grant (2016-2023) supports our research activities. This funding supports our research activities and projects with research partners in other regions in Canada and internationally. A growing area of need in the current health care system, rural dementia care is demanding the attention of health care providers, researchers, and policy makers. The Ergonomics Laboratory is part of the new, CFI-funded National Agricultural Industrial Hygiene Laboratory (NAIHL) located on the first floor of the new Health Sciences E-wing extension within the Canadian Centre for Health and Safety in Agriculture. Since moving to the new facilities in Autumn 2013, we have commissioned and outfitted our 70m2 CFI-funded Laboratory to house both lab-based and field-based equipment. The Ergo Lab serves and a base for field work and processing of field measurements. 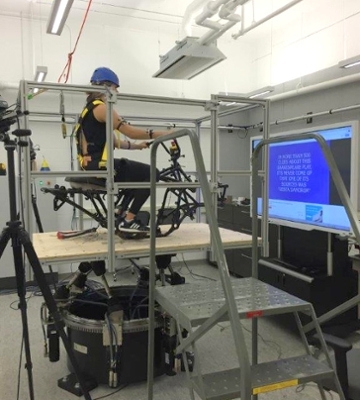 The lab also contains a substantial array of state-of-the-art measurement and simulation equipment appropriate for occupational exposure assessment, movement analysis, and ergonomic measurements. Research is also being conducted into chronic back disorders including back pain in agriculture (Dr. Brenna Bath). For more information on the Ergonomics Lab: check out the Ergonomics Lab website or contact the lab director, Catherine Trask. Agriculture has been and continues to be a staple of the Canadian economy. In Saskatchewan farmers and their families represent over 10% of the provincial population. Farm workers and their family members in Saskatchewan and Canada as a whole experience a high rate of acute traumatic injury associated with farm work and the farm environment (Canadian Agricultural Injury Reporting). In Saskatchewan, the family farm continues to be the predominant model for farm operations making the farm unique as an industrial workplace in that people both live and work at the worksite. This research was undertaken with the long-term goal of informing the development of targeted interventions aimed at reducing the frequency and severity of farming-related injuries. 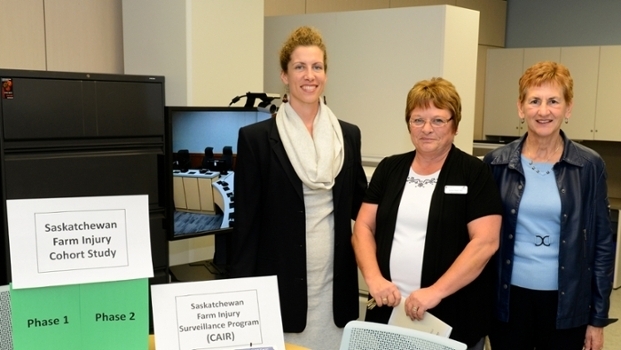 The Canadian Centre for Health and Safety in Agriculture partnered with the Saskatchewan Association of Rural Municipalities (SARM) and six Rural Municipalities in 1988 and founded the Agricultural Health and Safety Network (AHSN) with the mission “to improve health and safety on the farm through education, service, and evaluation research.” Over the last 25 years, the Network has steadily increased to 219 RMs including over 27,000 Saskatchewan farm families. Agrivita Canada Inc. is Canada's national not-for-profit corporation promoting health and safety research and its effective application to the agricultural sector. Agrivita Canada Inc. is also committed to ensuring that farmers and agricultural workers have a standard of occupational health and safety equivalent to other industries, that the health of agricultural employees and neighbors is protected and that there is a positive relationship between agriculture and public health. 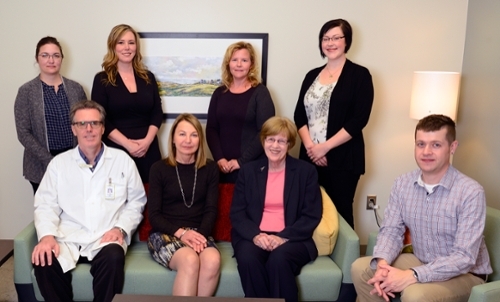 CCHSA is home to active research in the areas of rural health, childhood asthma including risk factors for asthma prevalence, and longitudinal data analysis (Drs. Lawson, Rennie, Pahwa). Research is also being conducted on the emergence of diabetes and it’s complications among Canada’s Indigenous peoples including the use of computer simulation modeling to better understand the intricacies and dynamics of this condition in the population (Dr. Dyck). The Occupational Hygiene and Health (OHH) Laboratory focuses on occupational hygiene which maintains workplace health and safety by identifying, evaluating, and controlling exposure to chemical, physical, ergonomic and biological hazards to reduce stresses on the worker and implement control measures that will reduce the incidences of impaired health and sickness in agriculture and other rural based industries and populations. The OHH facilitates both field work and processing of field samples. The laboratories are equipped with state-of-the-art sample collection and analysis equipment appropriate for assessing a vast array of physical, chemical and biological exposures. For more information on the OHH Lab: contact the lab director, Shelley Kirychuk.